12. 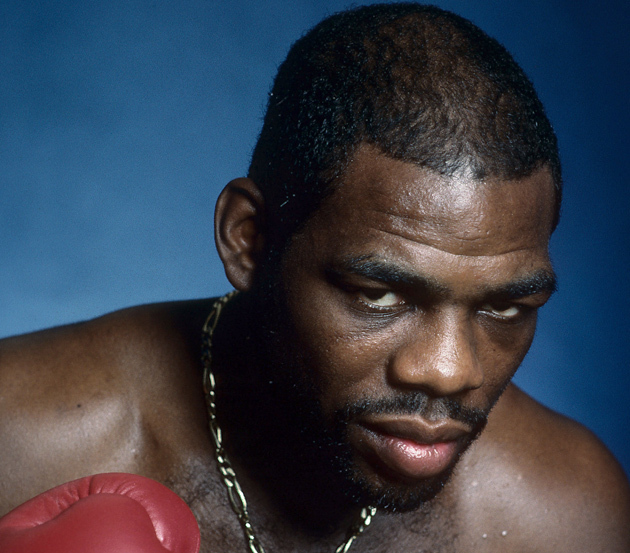 Iran Barkley: A former gang member and survivor of countless street rumbles, Barkley’s face was a dark visage of total menace. Prior to the opening bell “The Blade” would pace and prowl, eager for combat, before fixing his opponent with a stare that could freeze water. 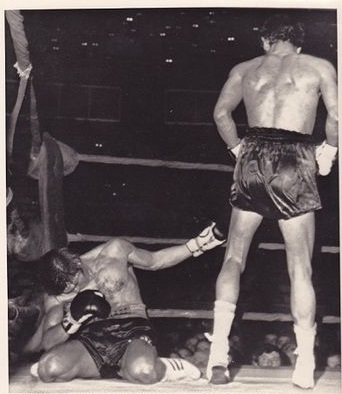 Knockouts like this made Monzon a highly intimidating opponent. 10. 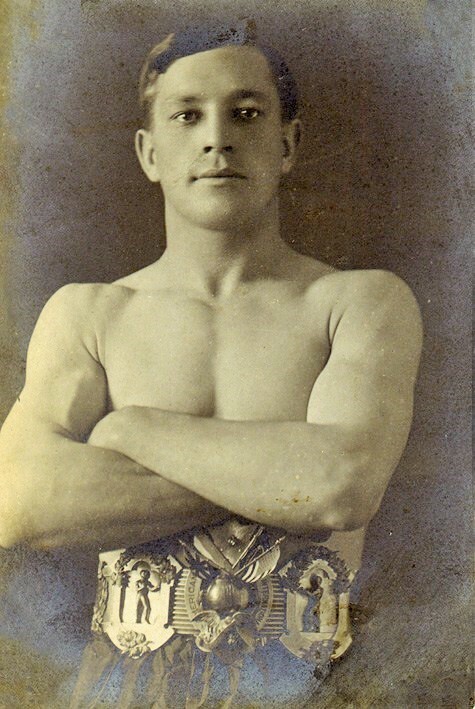 Stanley Ketchel: A true destroyer of the ring, “The Michigan Assassin” brought a cold-eyed glare, a contemptuous sneer, and one of the hardest right hands in boxing history into the ring, and when facing the total package, his opponents often felt more than a bit weak in the knees. 9. 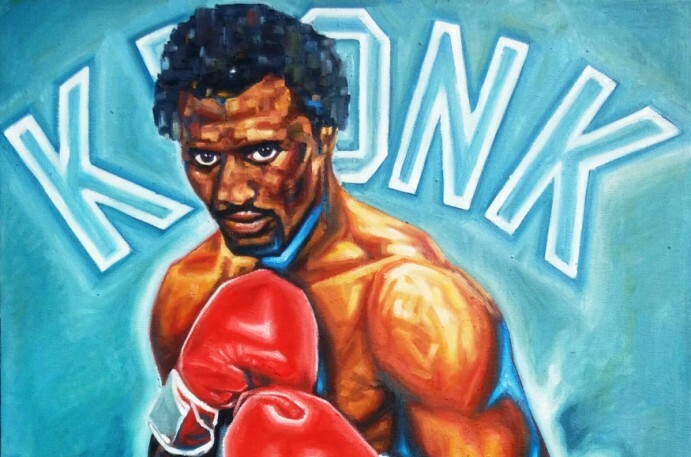 Thomas Hearns: First, the incredibly tall (for a welterweight) “Motor City Cobra” would look down and fix you with that intense and piercing stare of his. 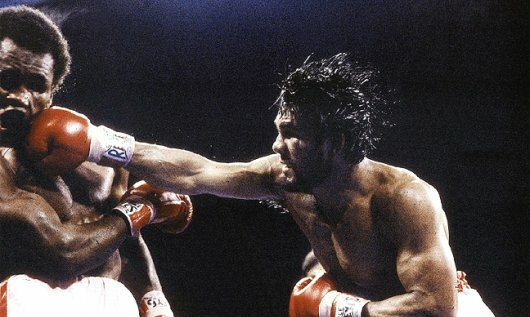 Then he’d show you his right fist, the same fist that cold-cocked a long list of tough champions, including such legends as Roberto Duran and Pipino Cuevas. Then you’d be fervently wishing you were at home, fast asleep. Then, suddenly, you were. 8. Elmer Ray: The deadly heavyweight puncher nicknamed “Kid Violent” was too dangerous for his own good as he was avoided by a slew of top ringmen due to his extraordinary punching power. Add the fact that he was also known for being a battle-scarred veteran of the brutal contests they called “Battle Royals,” plus his penchant for alligator wrestling, plus his scoring some 70 knockouts against human foes, and you had one of the most fearsome battlers in heavyweight history. 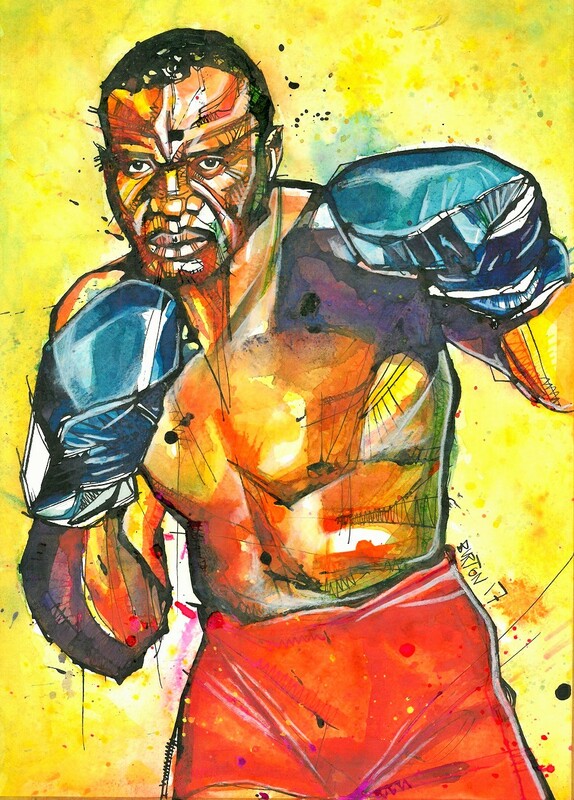 “Kid Violent” slams the great Ezzard Charles with a left hook. 7. 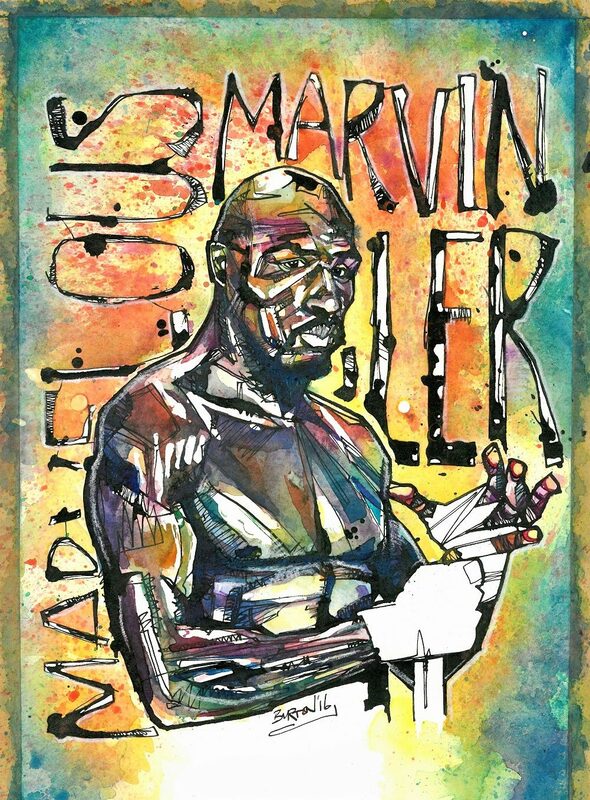 Marvelous Marvin Hagler: With his shaved head, perpetual snarl, granite chin and deadly fists, Hagler struck fear in the hearts of men, making it that much easier for him to run them out of the ring. That is, when he got the chance to fight them. For years, top contenders and champions in the middleweight division did everything they could to avoid facing Marvelous Marvin. Marvelous Marvin Hagler. Painting by Damien Burton. 6. 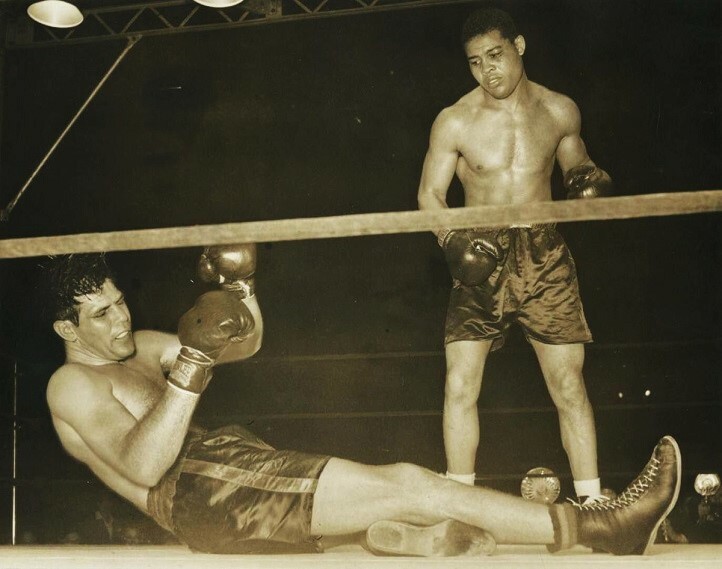 Joe Louis: “The Brown Bomber” didn’t have to work too hard at intimidating people; his record and reputation accomplished that all by themselves. One of the most fearsome punchers in boxing history, Louis left a path of destruction that unnerved all the heavyweights of his day. Add his cold, distant stare and unflappable demeanor and many of Joe’s opponents were searching for the exits before the first round got underway. Joltin’ Joe’s punching power was legendary. 5. George Foreman: Big and bad, Foreman learned from Liston that all you had to do was not talk too much, not change your facial expression, and stare your opponent down, and you’d gain the psychological upper hand. Of course it also helps if you’re 6’3″, one of the hardest punchers in boxing history, and have a long line of comatose heavyweights stretching behind you. 4. 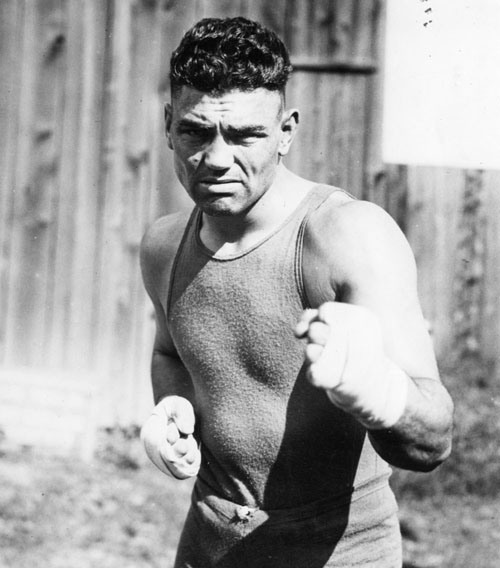 Jack Dempsey: Dempsey’s reputation for ring ferocity preceded him and proceeded to leave many of his opponents with a sudden urge to pack up and go home. Bolstered by his scowling visage, this intimidating reputation no doubt had much to do with “The Manassa Mauler” racking up an astonishing 60 first round knockouts (including exhibition matches). 2. Mike Tyson: Iron Mike’s talent for terrifying his opponents is legendary. With his muscular physique, malevolent glare and a ring costume of nothing but black trunks and shoes, he looked the part of a homicidal henchman from some dark lair of the underworld. In short, for most of his career, he was incredibly intimidating. Proof? 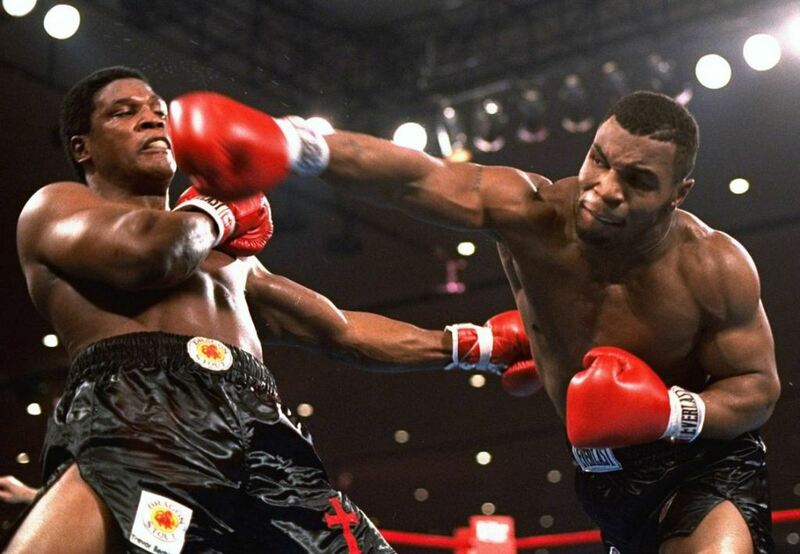 Tyson’s 94 second demolition of a terrified Michael Spinks; Frank Bruno walking to the ring as if it were the gallows; or consider that more than half of Tyson’s 44 career knockouts took place in the first round. 1. 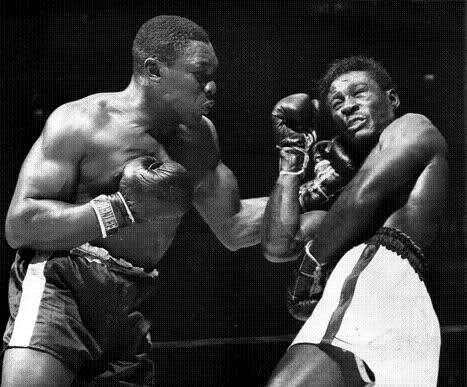 Sonny Liston: An ex-con and a rumoured leg-breaker for the mob, not to mention an associate of Frankie Carbo and Blinky Palermo, Liston had intimidation down to a science. 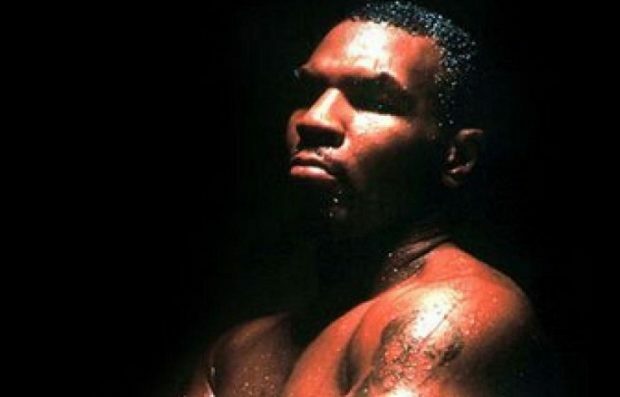 In addition to his reputation and underworld connections, he sported a massive physique, huge, deadly fists, and perhaps the best poker face in boxing history. 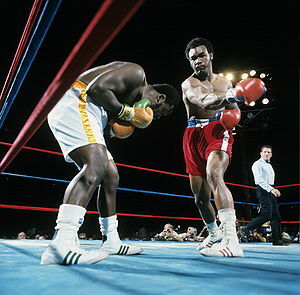 Foreman was the most intimidating I think, because he was simply the most powerful. Plus, Louis, Liston and Tyson’s opponents were like candyfloss by comparison. I think Langford should be on there.